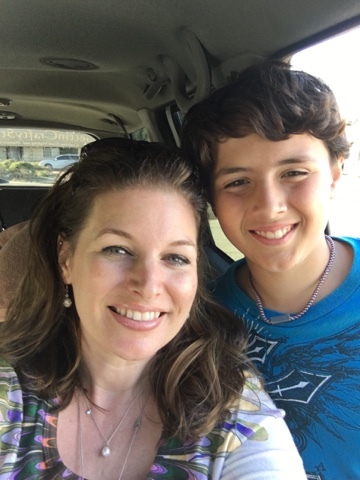 12 years ago, today, I was blessed to become a mother. Our son was born after 24 hours and 5 minutes of labor. He is an amazing young man who loves God, his family, Nerf guns and Legos (lol). I wanted to make sure he received a birthday card this year and it was his only one received today. Join Us as #ImBringingBirthdaysBack and send a hand-crafted card to celebrate life with others. Our fun card making classes are waiting for YOU! I adore this bundle of Number of Years stamp set and Large Numbers Dies for my Big Shot Magnetic Platform and Die-Cutting Machine. Die Cut these numbers for a perfect card to hit my son's big birthday. I adore how I save 15% on this bundle and score them BOTH!! 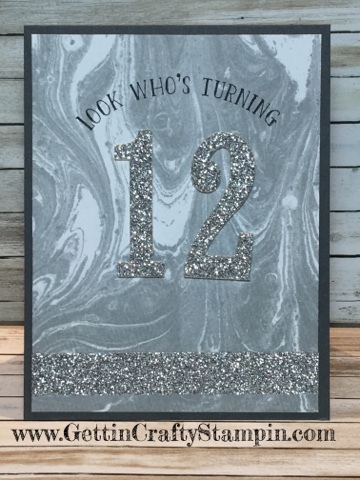 This is ideal for any numbered celebration - from birthdays to anniversaries and more! This is a little bit of the new and the old. Right Now and For A Limited Time.. there are free products during Sale~A~Bration. This pretty marbled Perfectly Artistic Designer Series Paper has just GONE.. it was FREE, too! The new Metallics Washi Tapes are awesome and rock this card, being FREE is a huge bonus!! He made me a mom. My first born child. He's a blessing and today he is 12. God is so good! JOIN US on March 4th (RSVP early) and create 20 hand-stamped cards for the men/boys in your life - in one fun filled evening! See the many fun card making and crafting classes where you can create, connect and have fun over card making. I'm so honored that today is my son's special day (and mine, too - lol). He sparkles with his big smile, twinkling eyes and generous laughter. I'm honored to be his mother. 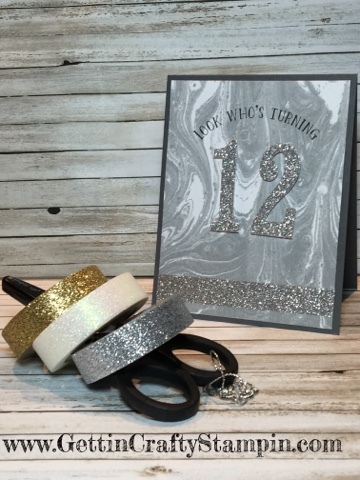 Join Me as #ImBringingBirthdaysBack - let me know if YOU would like to receive an actual mailed hand-crafted card on your birthday with an email of your info (name, birthday and address). Celebrate life with others - a hand-made card is a great way to deliver art and a hug wrapped up in a card.